Brian Boyle, Wayne Simmonds and Filip Forsberg scored goals, Pekka Rinne stopped 22 shots, and the Nashville Predators defeated the visiting Toronto Maple Leafs 3-0 Tuesday night. Rinne has four shutouts this season, and the past two have been against the Maple Leafs. He has 55 career shutouts. The Predators blanked the Maple Leafs 4-0 in Toronto on Jan. 7. Ryan Johansen had two assists for the Predators, who managed only 20 shots on goal but won their third in a row. The Maple Leafs allowed the first goal for their fifth straight game when Boyle notched his 18th this season at 4:47 of the first period. Toronto has allowed 26 goals over the past five games, losing four times in that span. The initial goal came off a giveaway in the Toronto zone by defenseman Jake Muzzin. Johansen pounced on the puck and made a quick pass to Boyle, who worked a give-and-go with Craig Smith before slapping the return pass past Frederik Andersen (17 saves). The Predators came close to adding to their lead during the second period while killing off a Maple Leafs power play. Johansen just missed a short-handed goal when he hit the left post on a backhand with the net unprotected after his move induced an early commitment from Andersen. Rinne made a remarkable save with his blocker in the fifth minute of the third period on John Tavares, who was put in alone and had an open left side of the net. At 9:13 of the third period, Simmonds scored his 17th goal of the season and his first since being acquired in a trade with the Philadelphia Flyers on Feb. 25. Unmarked to the left of the net, Simmonds swatted home a pass through traffic from Ryan Ellis, who had rushed up the right side to reach a loose puck at the boards. 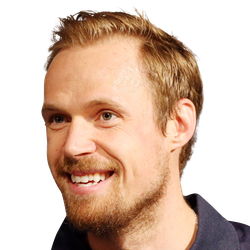 Rinne preserved his shutout with another good save in the 16th minute of the third on Auston Matthews. 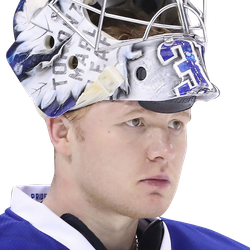 The Maple Leafs removed Andersen for an extra attacker with 3:25 to play, and Forsberg scored his 26th goal of the season into an empty net at 17:51. Toronto's Kasperi Kapanen returned to action after missing four games with a concussion.